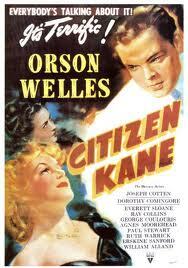 WAS CITIZEN KANE THE GREATEST MOVIE EVER MADE? What’s often called the defining film of a generation (and, indeed, a century), makes the leap to a new kind of definition today – high definition – with the Blue-ray release of the 1941 masterpiece, Citizen Kane with Orson Well. For more than half a century Kane has headed the polls as he greatest film ever made. Some film critics now qeustion this rating. David Thompson says younger people now find it boring. Bridge Over the River Kwai with the incomparable Alec Guiness who I met several times in London in the sixties. Brideshead Revisited, based on the novel by Evelyn Waugh. The remarkable performance by John Gilguid, is alone worth the price of admission. Sadly, I cannot remember the title of my third favourite film. It was based on a palatial estate called Manderly and starred laurence Olivier and Olivia de Havilland. Does anybody remember the nameof this film? What are your three most memorable films? WERE YOU A FAN OF SYDNEY LUMET? Sydney Lumet, one of the greatest film directors in the last half of the 20th century has just died at his home in Manhattan. Lumet was known best for award-winning films such as 12 Angry Men, Dog-day afternoon; Network, Fail Safe, The Verdict, The Pawnbroker, Serpico, Murder on the Orient Express. The Lumet films that I enjoyed most and remember best are 12 Angry Men, Network, The Pawnbroker. Do you remember any of Lumet’s films? WAS ELIZABETH TAYLOR THE LAST OF THE GREATS? Elizabeth Taylor made more than 50 films, won two Oscars, was a grandmother at 39 and was married eight times to seven men. A woman of exceptional physical beauty, Taylor grew into the most photographed film star of all time. Other love goddesses such as Rita Hayworth and Ava Gardner were not in the same league in terms of public and press attention. Everything she did was news. One of the films I remember most was with Richard Burton in Who’s Afraid of Virginia Woolf? It was a scalding performance that scraped paint off the walls. What Taylor films have you seen? Is there a “star” male or female in Hollywood today that has a bigger profile than Taylor did in her day? Who? I can think of Maggie Smith and Judi Densch but they don’t come near to Taylor. Is there anyone in film-land who takes up the space that Taylor filled in her day? Was Taylor the last of the greats?